on the death of Sir John A. Macdonald. …the good old County….my early associations are connected with Prince Edward – some of the happiest days of my life were spent here – I here obtained my earliest professional education, and here, in this good old town of Picton, I earned my first fee and made my first speech to a jury in this very Court House…. 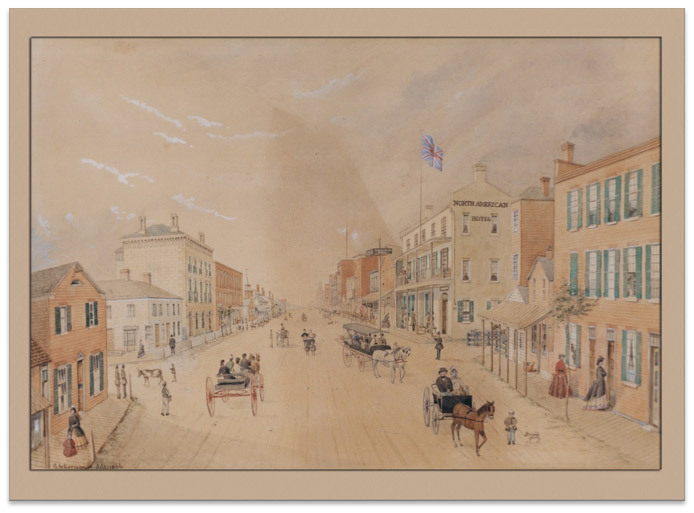 From an early age, John A. Macdonald called the Bay of Quinte and Prince Edward County his home. Some of his fondest memories were of his life spent in this region from 1824 to 1835. 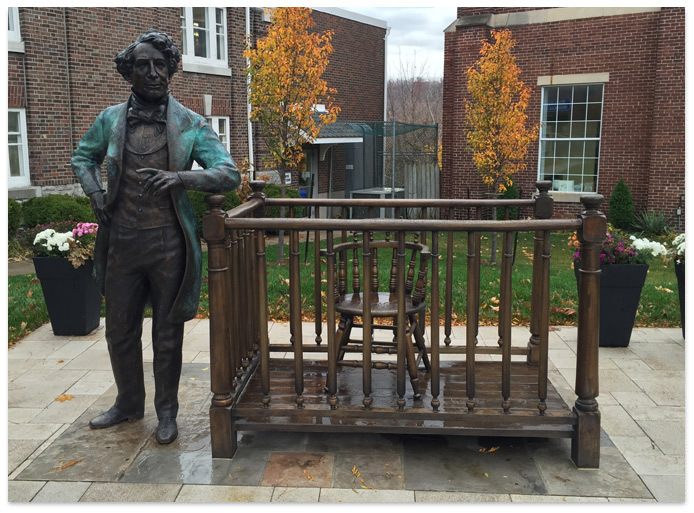 Ruth Abernethy’s Holding Court depicts the moment when the teenage Macdonald won his first court case in the Picton Courthouse on October 8, 1834 before a judge and jury. Four months later, he became an attorney in Picton and began his career in law. 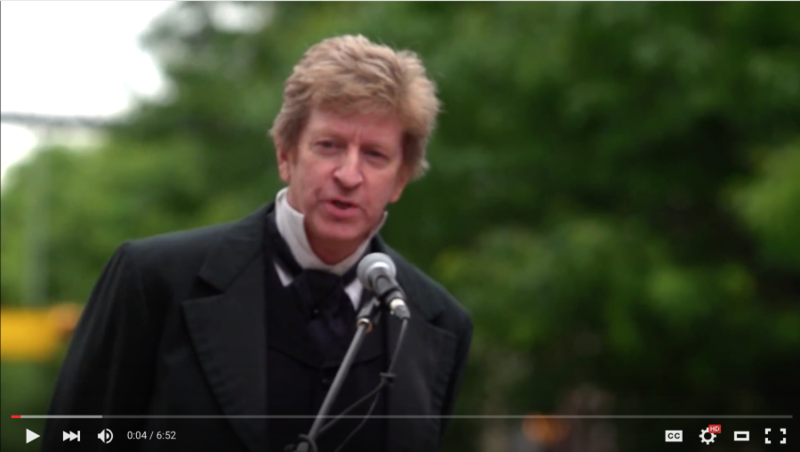 From his humble beginnings as the son of a shopkeeper and miller, he rose to become the principal architect of Canada and the nation’s first prime minister.